Charles A. Ferry; Sperry Engineering Co. The Yale Bowl is a football stadium in New Haven, Connecticut on the border of West Haven, about 1.5 miles (2.4 km) west of the main campus of Yale University. The home of the Yale Bulldogs football team, it was built in 1913-14 with 70,896 seats; renovations have since reduced its capacity to 61,446. 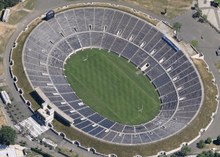 Despite the renovations, no stadium in the United States is both older and larger than the Yale Bowl. The Yale Bowl is currently the largest university-owned stadium by capacity in the second tier of college football, NCAA Division I FCS. (Tennessee State University rents the larger off-campus Nissan Stadium used by the NFL's Tennessee Titans). In 1973 and 1974, it hosted the New York Giants of the National Football League while Yankee Stadium was being renovated and Giants Stadium was under construction. It was the first bowl-shaped stadium in the country, and inspired the design of such stadiums as the Rose Bowl, the Los Angeles Memorial Coliseum, and Michigan Stadium. It was declared a National Historic Landmark in 1987 for its role in the history of American football. The Yale Bowl's designer, Charles A. Ferry, for unknown reasons chose not to include locker rooms. Players must dress in the Smilow Field Center and walk 200 yards to the stadium. When the New York Giants of the National Football League played at the Yale Bowl in 1973 and 1974, its players disliked the arrangement, but Yale players reportedly enjoy the walk. Fans cheer for the team as it marches to the stadium while the Yale Band plays. By the 21st century, many of the outside retaining walls and portal entries were deteriorating. In the spring and summer of 2006, the bowl received a partial renovation, completed just in time for the first home game of the Yale football team's season on September 16. A previous scoreboard (notable for the time clock being arranged vertically instead of horizontally) was added in 1958 and replaced during the 2006 renovations. During the 1970s, the "Bowl" hosted several concerts. The Grateful Dead played a notable show here on July 31, 1971, which was released as Road Trips Volume 1 Number 3. A 1980 concert featuring the Eagles, Heart, and The Little River Band on June 14 proved to be the finale for the venue, as opposition from neighbors became increasingly vehement. A picture from this final show can be seen in packaging of the vinyl edition of the Eagles double live album, issued later that year, though no recordings from the event are included on the discs. A planned Paul McCartney concert was scheduled for June 1990, but because of neighborhood opposition the New Haven show was cancelled and the date was rescheduled for Chicago. The stadium has hosted many soccer matches over the years and served as home field for the Connecticut Bicentennials of the North American Soccer League during the 1976 and 1977 seasons. Yale Bowl was a candidate as a possible playing site when the United States hosted the World Cup in 1994. 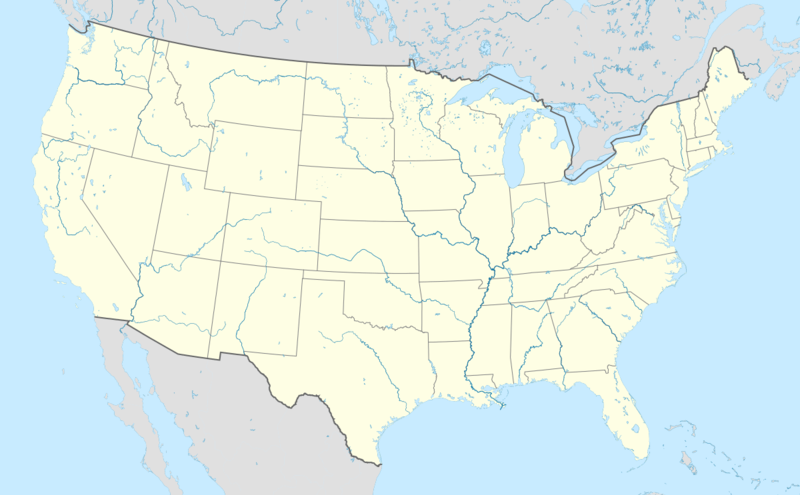 However, two other venues in the region were chosen instead: Foxboro Stadium in Massachusetts and Giants Stadium in New Jersey. On Friday, October 5, 2001, the closing ceremony of the Yale Tercentennial was held at the Yale Bowl. Guests included Tom Wolfe '57, William F. Buckley '50, Sesame Street's Big Bird, Paul Simon '96 Hon, and Garry Trudeau '70. The Cullman-Heyman Tennis Center, home to the annual ATP/WTA event (the Pilot Pen tournament), is located across Yale Avenue from the stadium. 1 2 "Yale Bowl". National Historic Landmark summary listing. National Park Service. Retrieved 2007-10-03. ↑ The Giants won just one of the dozen home games they played in New Haven in those two seasons. ↑ Schonbrun, Zach (2014-11-02). "At Yale Bowl, 100 Years of Tradition, Pride and No Locker Rooms". The New York Times. Retrieved 11 September 2015.